Semi-gloss paint is most often used on doors, trim, and cabinets in kitchens and bathrooms. It is easily cleaned and lays down a nice, subtle shine without being too glitzy. Brite & Rich colors are considered to be deep tone colors and are made from a "D” base formula. Take care with pre-paint preparation work, as poorly prepared surfaces can be a bit distracting when highlighted by a semi-gloss surface. It is important to note, that deep base colors do not hide as well as pastels. Additional coats of paint may be required depending upon what color is being painted over. For best results, priming the surface first can reduce the need for a second coat. 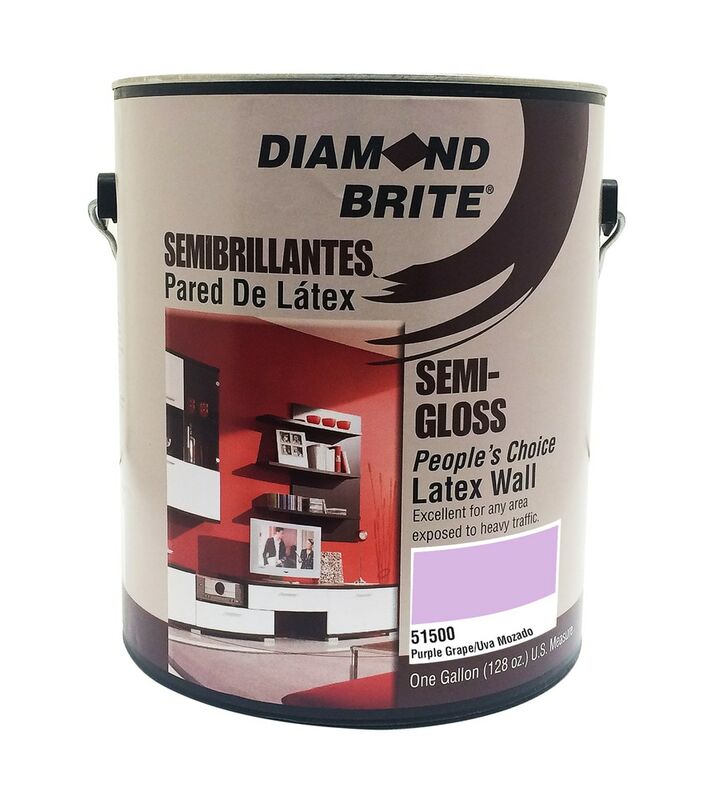 The manufacturer recommended primer for this paint is Diamond Brite 40100 Interior/Exterior Latex PVA Primer Sealer. Clean Up & Disposal: Use soap and water. Do not dispose of this product down a drain. for disposal of empty containers and unused product, contact your household refuse collection service. Protect from freezing. Features new 2015 shipping packaging and painting instructions.